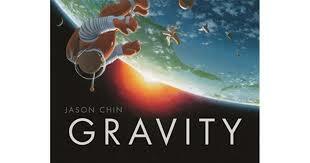 Our Cover to Cover Book of the Month for October is Gravity by Jason Chin. Gravity is important! Discover why as you explore this wonderful book by Jason Chin. Reading is fun! Especially when you act out the story with your child. While reading, try dropping safe objects to demonstrate how gravity works. Let your child drop objects too! Hold your child up high and let them drop objects from up high, and then from down low! Send a picture of you and your child experimenting with gravity! Be creative! We can’t wait to see what you loved about Gravity!